A few years back, I was fortunate enough to visit the American Military Museum in southern California. While the museum itself has no shortage of interesting vehicles, one in particular caught my attention - a light greenish-grey M53 towards the center of the museum grounds, with the words "Bringin' the Rain" painted in the side. 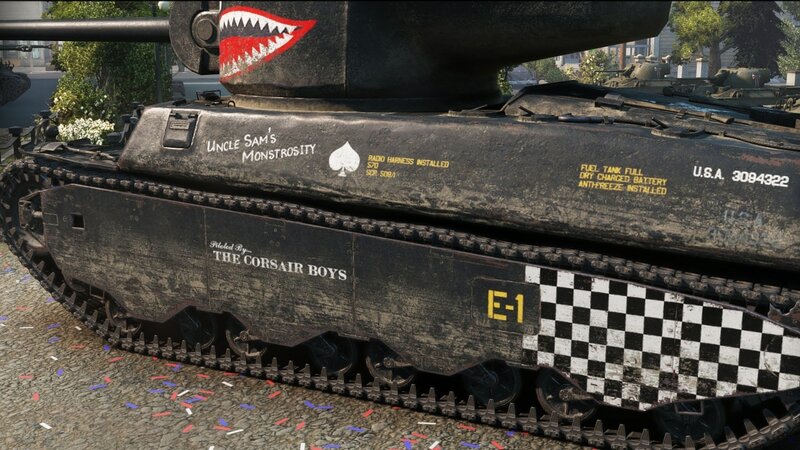 As far as I know, the art was not actually present on the original vehicle and was added on during the vehicle's restoration, but it's still very cool, nonetheless, and looks like something that could've been plausible for a vehicle like this. 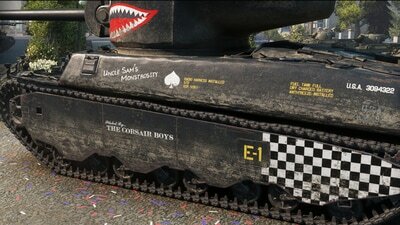 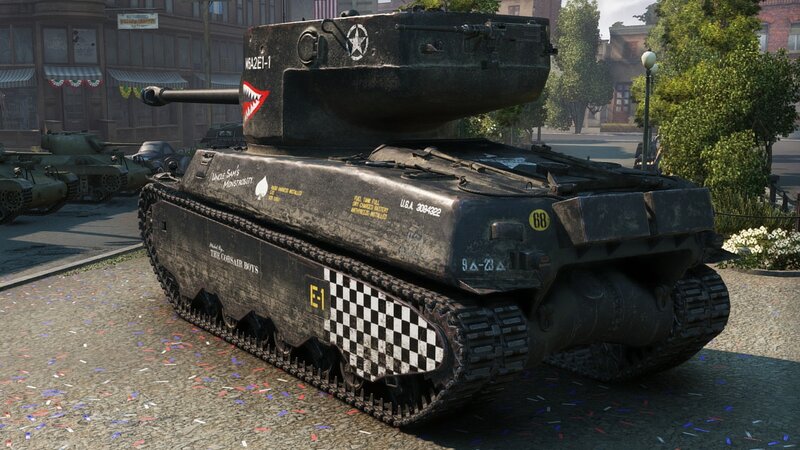 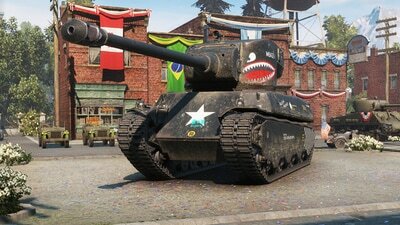 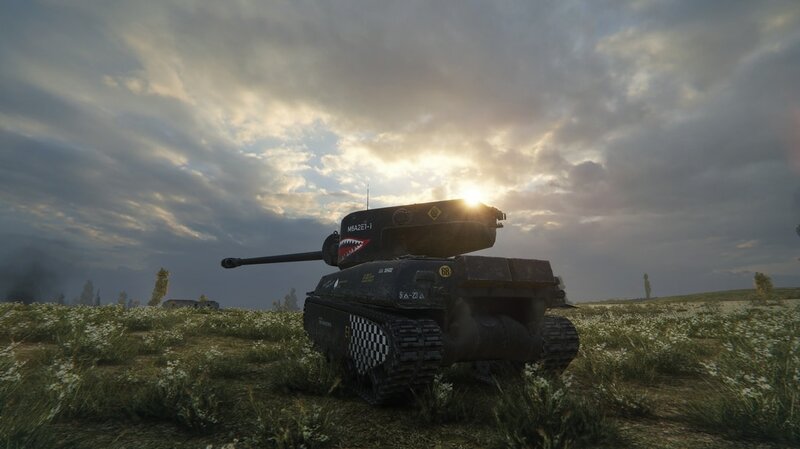 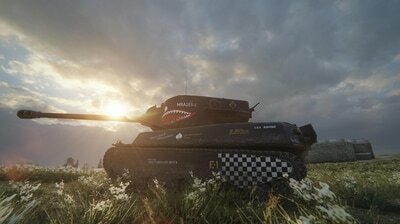 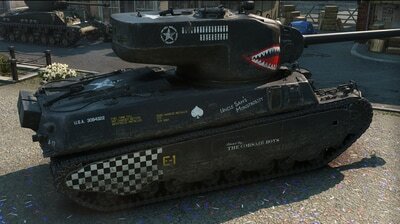 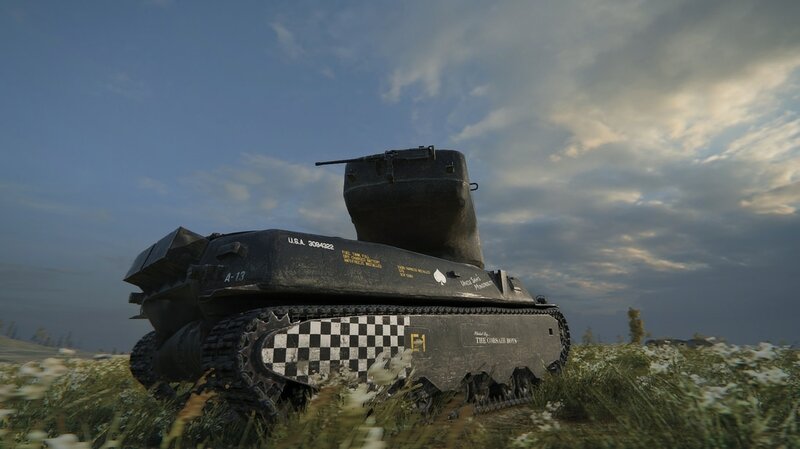 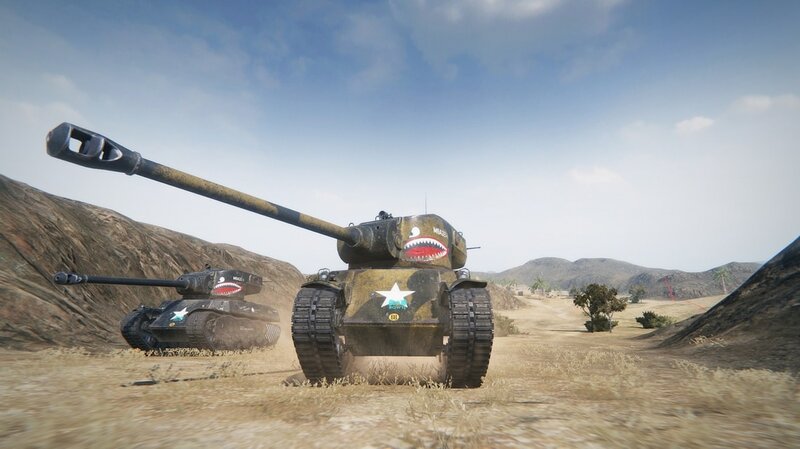 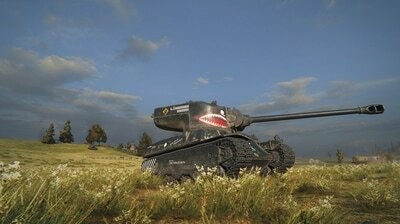 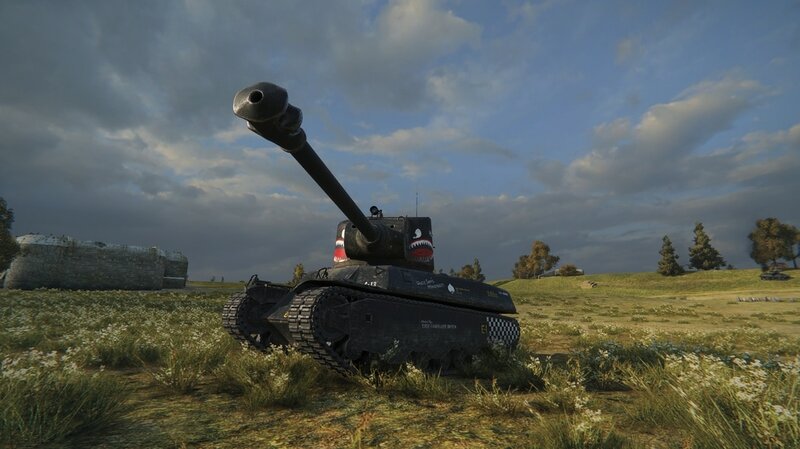 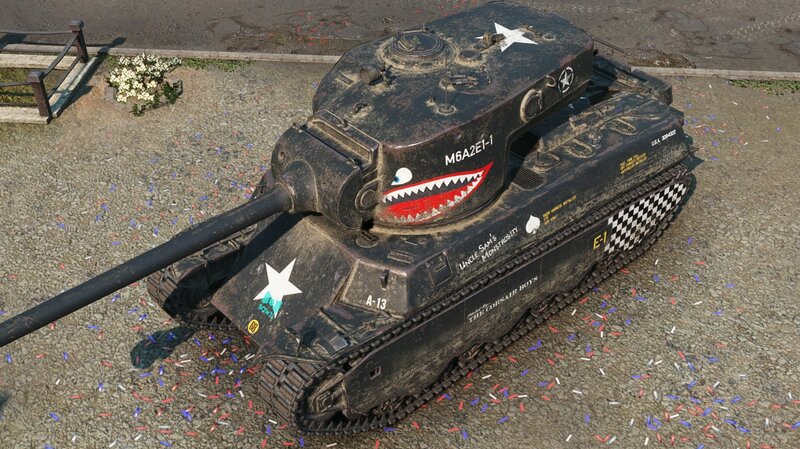 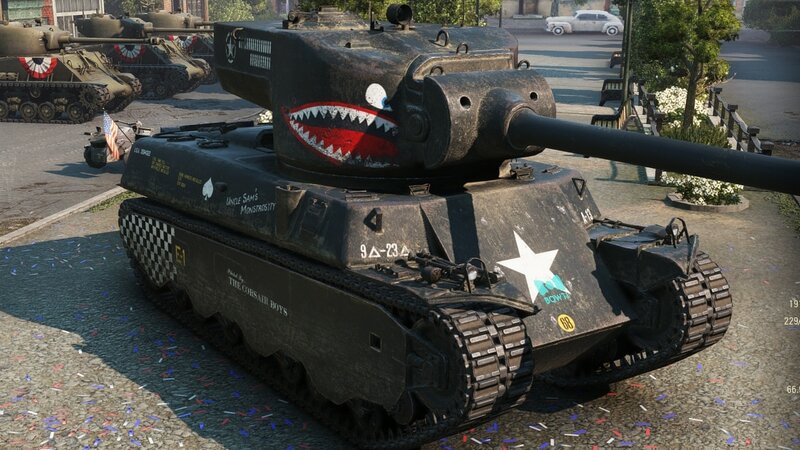 As such, I decided to try and replicate the skin for World of Tanks, with this being the result.